When a tractor doesn’t start, troubleshooting should begin with an examination of the Kubota safety switches. Owners sometimes report intermittent starting issues that are traced back to one of the switches. Although a Kubota safety switch is an integral part of the tractor’s design, it is suddenly an issue when it prevents a tractor from operating. Every manufacturer faces the dilemma of how to keep riders safe while not inconveniencing them with excessive switch activations. An efficient diagnosis of the problem saves time and helps get your machine back to being productive. Learn more about Kubota tractor safety switch locations from your authorized Kubota dealer in Houston, Bobby Ford Tractor & Equipment. 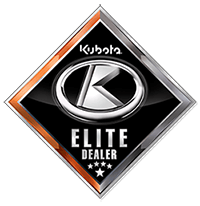 On most Kubota tractors, making an adjustment or replacing a defective safety switch is quite manageable. When a tractor doesn’t start because of unwanted switch activation, it may be necessary to eliminate each switch as the possible culprit systematically. Sometimes the switch and its wiring are okay. On several Kubota tractors, merely adjusting seat tension will minimize unwanted switch activations. Here are a few examples of Kubota safety switch issues that could be slowing you down. There are multiple switches on the Kubota B7800, including seat, PTO, rocker pedal and transmission switches. If a single safety switch is not in neutral, the tractor will not start. Sometimes, a switch is very close to moving in and out of neutral – so much so that you will experience intermittent starts. To identify which switch is the problem, clean them by blowing them out with compressed air. First, jump the seat switch to remove it from the circuit, then proceed through a process of elimination. Locations of safety switches vary from model to model. 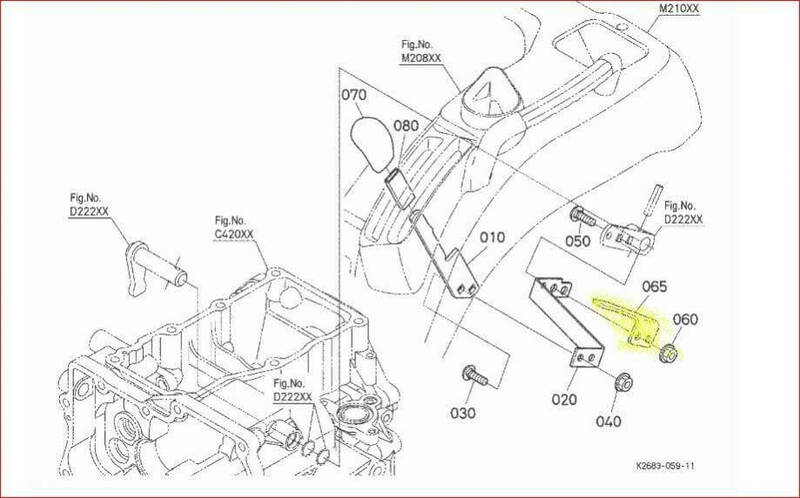 For example, on the Kubota B7800, the clutch safety switch is under the left floorboard. A tab of the clutch pedal operates it. The most prominent safety switch on many Kubota tractors is located right under the seat. To troubleshoot Kubota safety switch issues, it is often necessary to check both the switches and the wiring. For example, on an L3940, two wires run from the seat frame to the exposed switch. Also, another set of wires run into the seat bottom. On an L3200 HST, one owner with a starting issue rocked the foot pedal back and forth. When it would just not start, he used an ohm meter to confirm the safety switch on the clutch was functional. He then went on to troubleshoot other safety switches on the tractor. With this and other models, you want to confirm that the interlock switches for the PTO, seat and cruise control are all cleaned, adjusted and operational. Sometimes, sensitivity issues require adjustments to improve switch engagement. 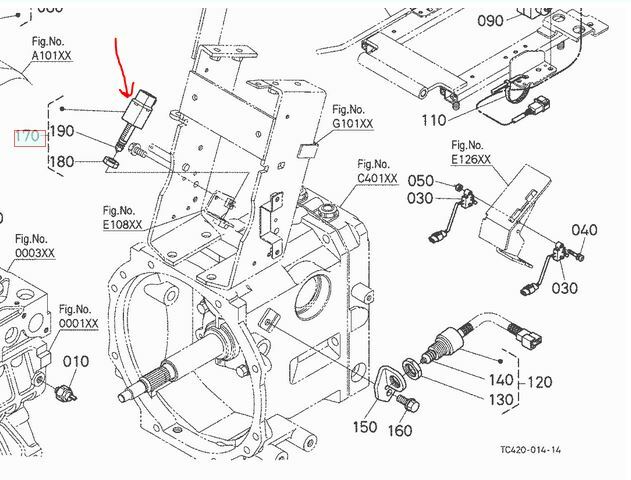 For example, on a BX2360, the sensitivity of the safety switch on the PTO lever is addressed by bending the tab for better contact. On sidehill jobs, it is essential to use the seatbelt to avoid lifting from the seat long enough to activate the safety switch. Finally, there have been reports of other brands switching off when a relatively light individual hits a big bump that momentarily lifts the rider off the seat. However, lighter-weight Kubota operators have weighed in on this issue (pardon the pun) without reporting unwanted switch-off problems. If you suspect you have a safety switch problem, or your Kubota tractor will not start for any reason, the Kubota tractor mechanics at Bobby Ford Tractor and Equipment can help. When you are looking for Kubota Tractors in Houston, look to Bobby Ford Tractor and Equipment for prompt, professional and knowledgeable assistance. Contact us today!